Posted in Featured Posts	| Comments Off on Kennebec Valley Community Action Partners Vote to go Union! 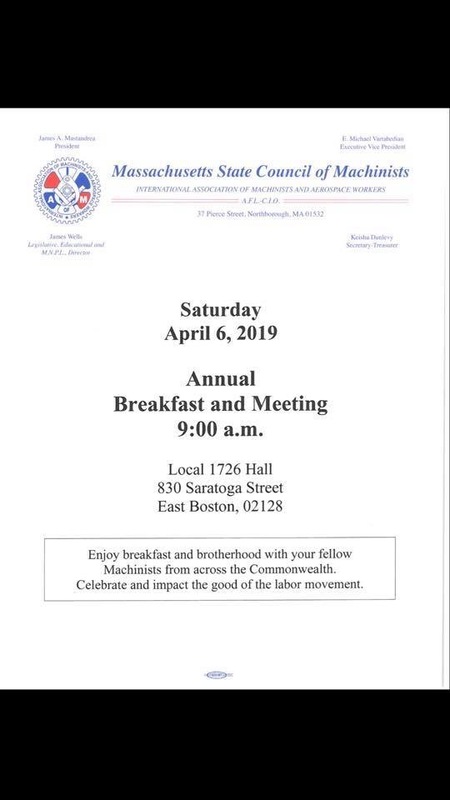 Annual Breakfast and Meeting Rescheduled for April 6th! Posted in Featured Posts	| Comments Off on Annual Breakfast and Meeting Rescheduled for April 6th! 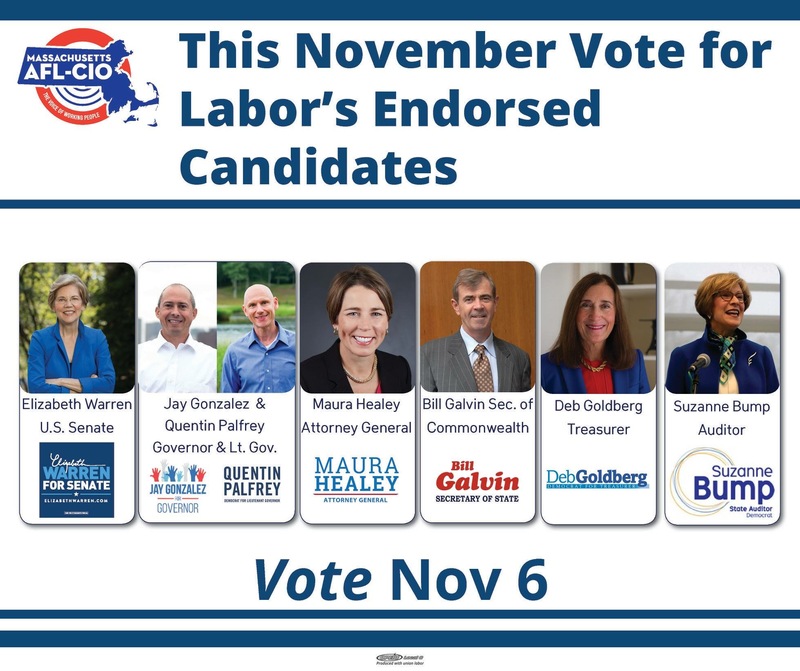 Election Day Is November 6th, Get Out and Vote! Posted in Featured Posts	| Comments Off on Election Day Is November 6th, Get Out and Vote! 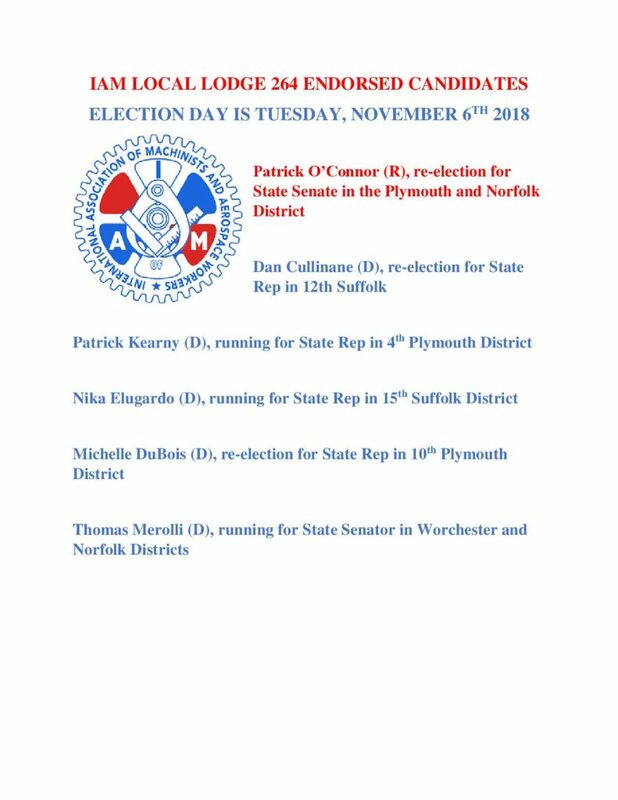 Vote Tuesday, November 6th. 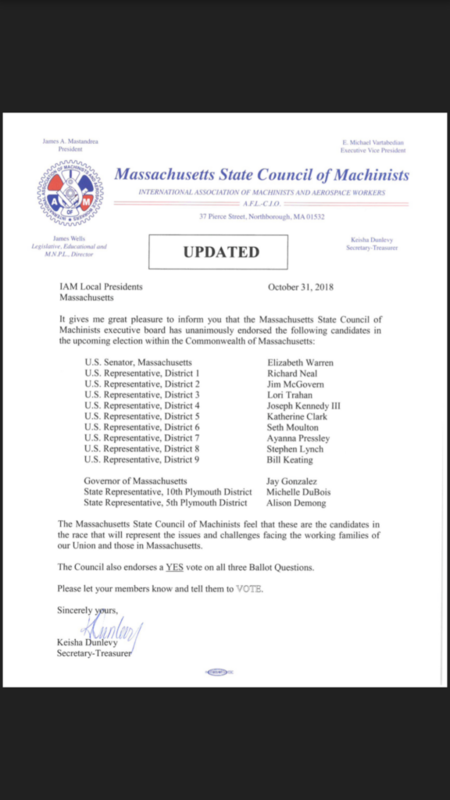 The following candidates are endorsed by the Massachusetts AFL-CIO. 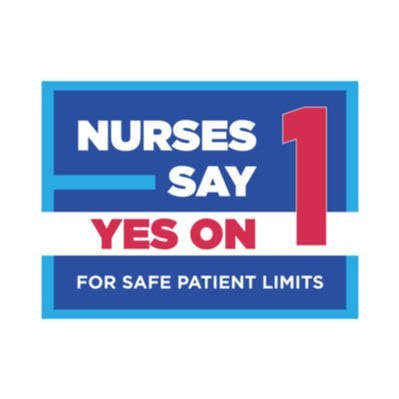 Labor supports a YES vote on all three ballot questions. 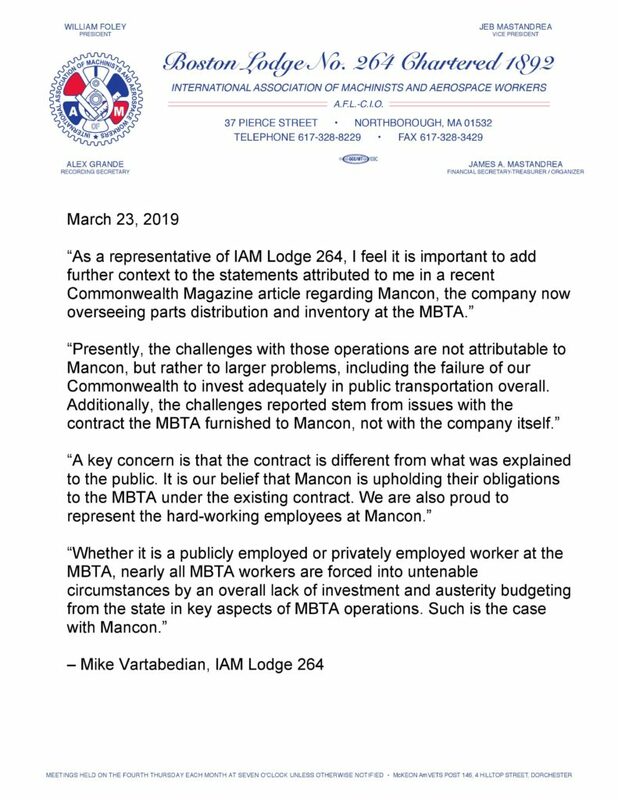 Congratulations MANCON Employees At The MBTA! 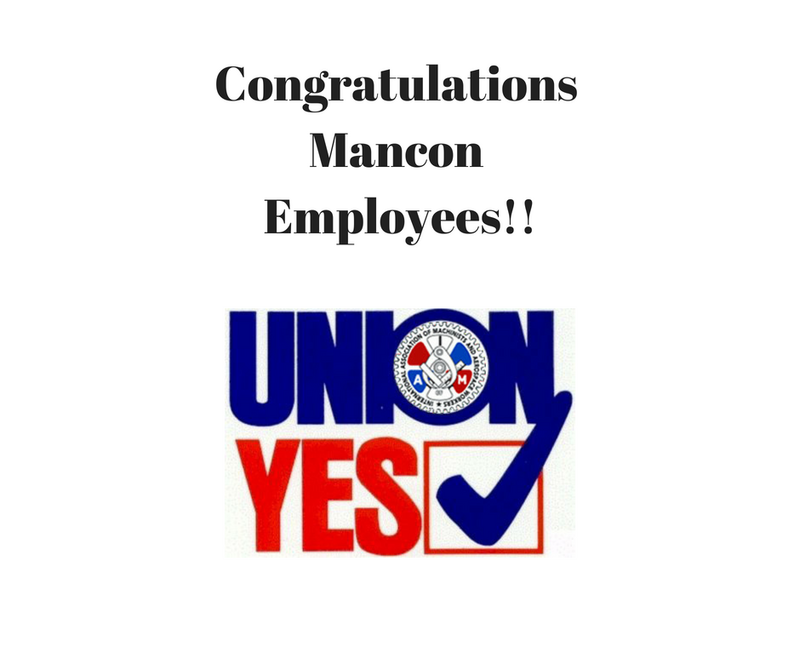 Early this afternoon MANCON employees overwhelmingly voted to ratify their first contract. Welcome brothers and sisters!!! Posted in Featured Posts	| Comments Off on Congratulations MANCON Employees At The MBTA! 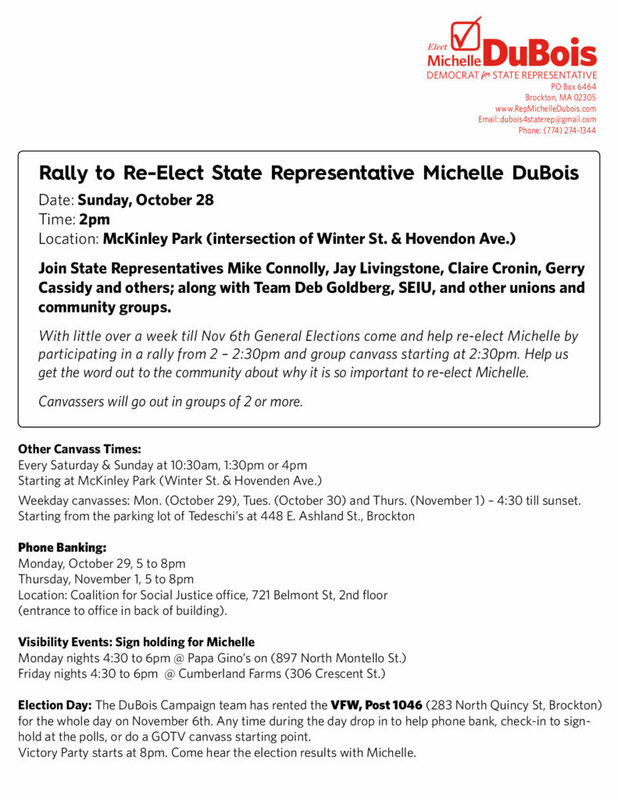 Local 264 endorsed candidate Michell Dubois is having a rally to gain support for her re-election . Monday, October 22, 2pm : UMass Boston/Globe/WBUR Debate Visibility ) Meet outside WBUR Studios, 390 Commonwealth Avenue, Boston. Debate starts at 3pm with no audience. Wednesday, October 24th, 6pm NBC 10 Debate: Pre-Debate Visibility. Modern Theatre at Suffolk University, 525 Washington St. Boston, MA 02111. Debate starts at 7pm. Register To Vote Before October 17th!!! Elections have consequences. Register to vote at the link below. Also the Massachusetts AFL-CIO has released a flyer with endorsed candidates for the upcoming election. Posted in Featured Posts	| Comments Off on Register To Vote Before October 17th!! !